ITM Platform can be used to monitor projects and tasks, making sure to achieve objectives and execute activities planned. You can perform monitoring of the task manually or otherwise update task progress from the Scheduleand create automatic project monitoring. 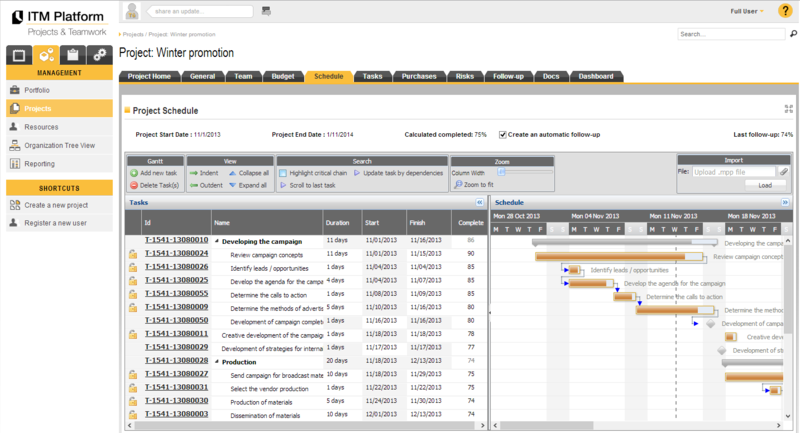 Go to My Tasks from MY DESKTOP or select the project 1 where the task is located on the menu MANAGEMENT. Click on the section Follow-up 2 of the task and add the new monitoring data. 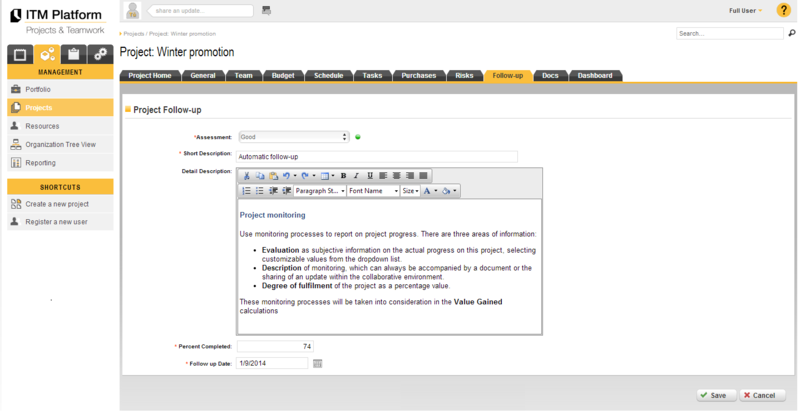 Complete the data, including the percentage completed to indicate progress on the task and the monitoring creation date. ITM Platform can also be used to monitor projects and tasks with similar goals. 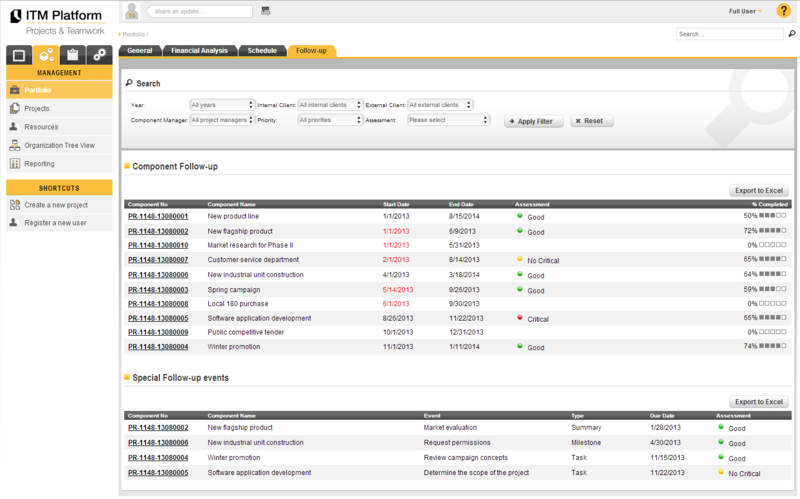 Go to My Projects from MY DESKTOP or select a project 1 on the menu MANAGEMENT. Click on the section Follow-up 2 and add a new process. Complete the required data marked with an asterisk for the new monitoring process, including the percentage of the project that has been completed. You can perform project monitoring processes from this section Schedule and automatically create monitoring processes when the task completion percentage is updated. See Monitoring of a task. Portfolio monitoring presents an overview of the progress of components and significant events – in other words, the projects and tasks included in the portfolio. In this section you will see two separate areas. Under the first, Component Follow-ups show the monitoring of portfolio elements. Secondly, Special Follow-up events show tasks and aspects marked as being of particular interest, illustrating their degree of progress in the portfolio.